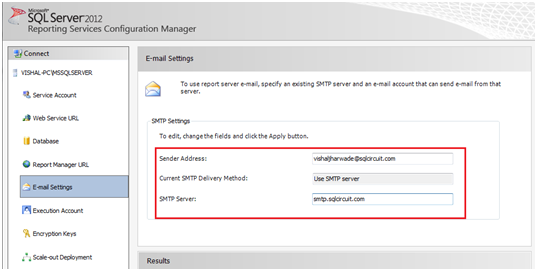 The purpose of this article is to provide a way of implementing Email subscription for a report using SQL server reporting services. Email Subscription of reports provides a way of delivering the reports in Email to individual users or groups in the required format and at a specific point of time. A subscription is a standing request to deliver a report at a specific time or in response to an event, and then to have that report presented in a way that you define. Subscriptions provide an alternative to running a report on demand. 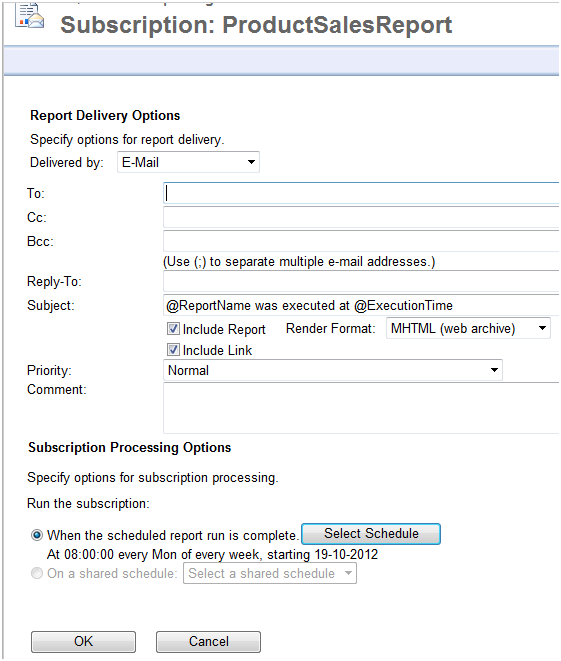 Subscriptions can be used to schedule and automate the delivery of a report. 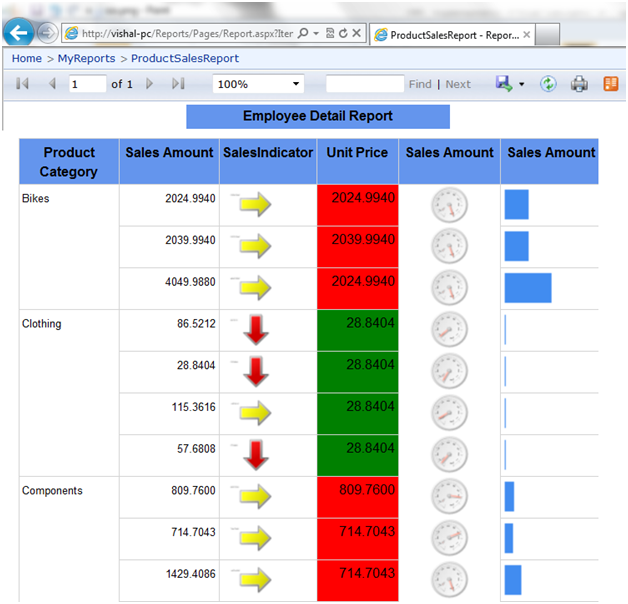 Delivery extensions are used to determine how to deliver a report and in which format. 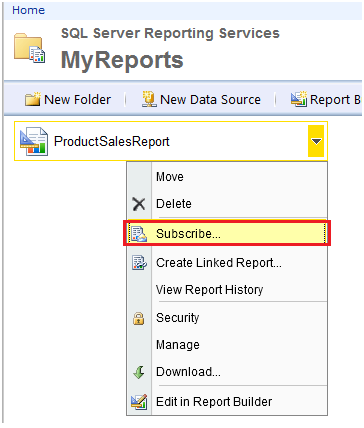 SQL Server Reporting services support two types of delivery extensions. 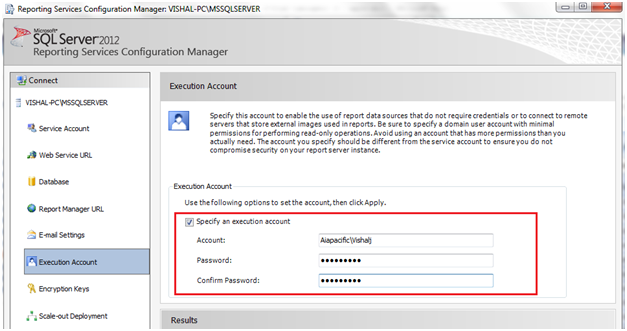 · SQL Server Agent service should run. 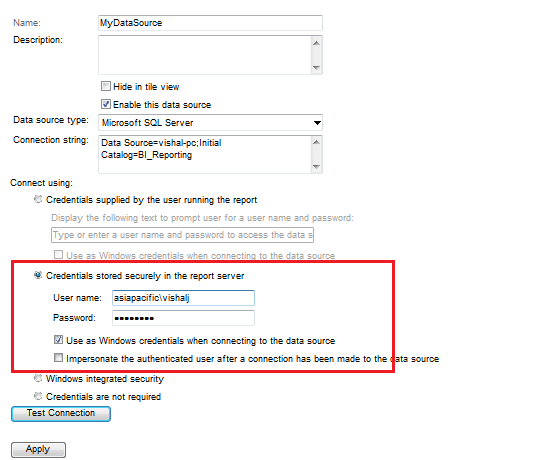 · Credential required connecting to Data source should store securely in the report server. I. Go to Report Manager URL e.g http://servername/reports è go to folder which is having reports. II. 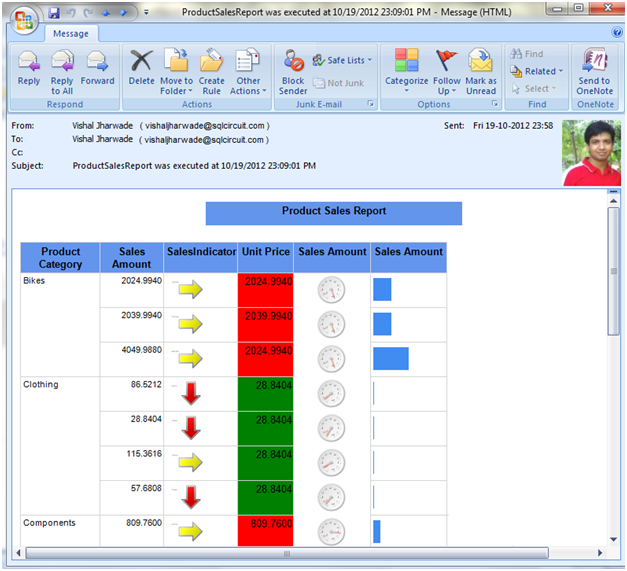 Below is the screenshot from my Report manager URL showing that there is a report named “ProductSalesReport” under MyReports folder. III. 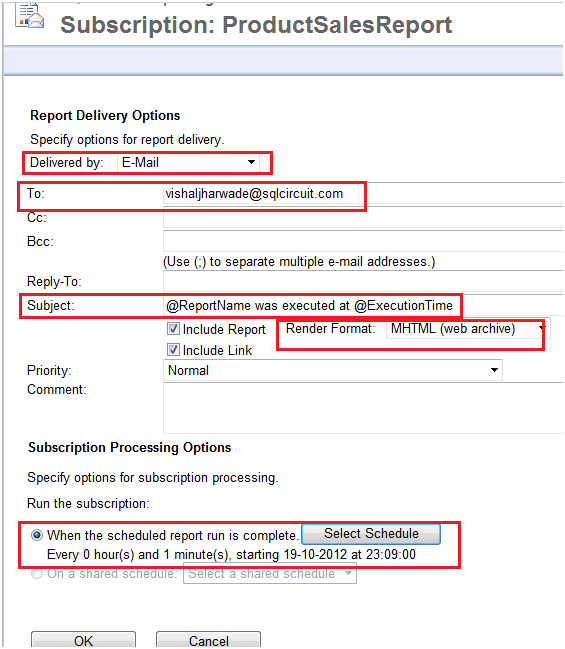 Before creating subscription, run the report to ensure that Report is working fine. V. Fill the required details for Email Subscription and Click Ok.
of all the subscription created by you. IX. For Demo purpose, I have schedule the subscription per minutes. We can set the subscription as per the business requirement. XII. Open the mail and check whether report is delivered to mail or not. By using above steps, we can create email subscription for a report and we can deliver the report to an individual as well as group at a specific point of time in a required format. You have nice blog on email delivery service. Thanks for sharing very informative details on email delivery service.